That’s Gary Byrne on the left. Gary Byrne Suing Clinton Operatives — The former Secret Service officer whose book exposed Clinton corruption is suing the flying monkeys sent by the corrupt couple to defame him. 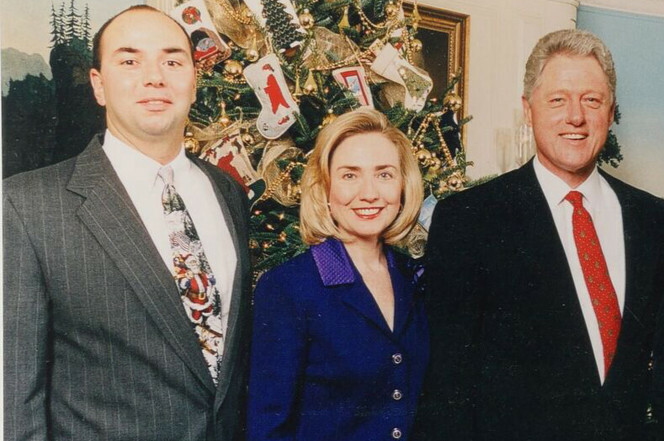 Gary Byrne, of Springfield, Pa., worked as a uniform Secret Service office in the Clinton White House. His book Crisis of Character describes his experience with the Clinton machine. They have also demanded that Brock immediately and publicly retract “any statement or inference” that Bryne had not been fully truthful. The lawyers note they may call George Stephanopoulos, John Podesta, Leon Panetta, Bruce Lindsey, Hillary Rodham Clinton and Bill Clinton as witnesses. Byrne has threatened similar legal action against Jan Gilhooly, president of the Association of Former Agents of the United States Secret Service. I pray that he wins. Justice should pre3vail. Previous Previous post: Hillary Clinton Sober Her Up?